Being invited to one’s wedding day has to be one of the greatest honours in this world. To think that out of hundreds on a list, that you were chosen, is truly touching to say the least. But the truth is that not many think of it in this way, and that is something that we really wanted to put mention to in this article. Whenever you receive a delicately wrapped invitation, we want you to remember these words…it is an honour. So that the second you see it, you know that you mean something to this person…that you are special…that your love, support and genuine nature is not just a joy, but appreciated in a world filled with so much negativity. Today, we’re featuring a brand that has chosen this profession. We are showcasing a brand that has decided to create these special pieces for couples all over the world, in the hope that when couples’ guests receive them, that they know what they truly mean to them…that they are cherished and loved. Never forget…it is an honour. 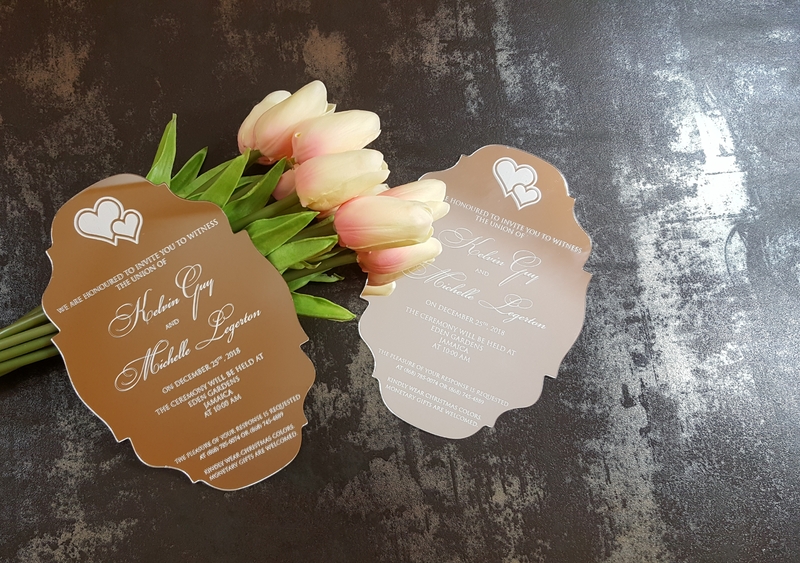 If you are looking for an invitation that would stand out from the rest, then the luxury acrylic laser cut invitations from RedCarpet Wedding and Special Events, will provide an elegant touch and unique design element to your wedding or other special life event. These stunning show stoppers are light weight, and come in a sturdy complementary envelope in optional colors, for safe, easy, and cost effective mailing to your guests. Your acrylic stationery could be printed in a range of colored font. 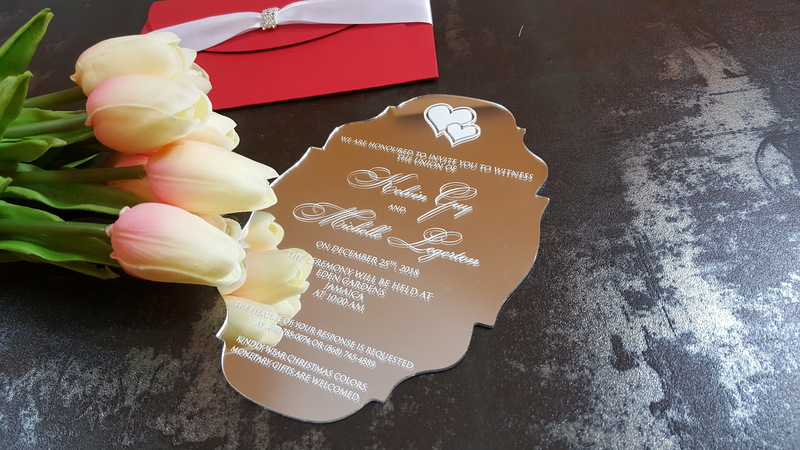 Because the desire is to give each couple a unique invite, RedCarpet offers fully customizable wording, font and layout, printed on exquisite mirror, crystal clear, or frosted laser cut acrylic, in a variety of shapes. Your event details are always printed in a chic manner, giving your guests great delight as they read every word. 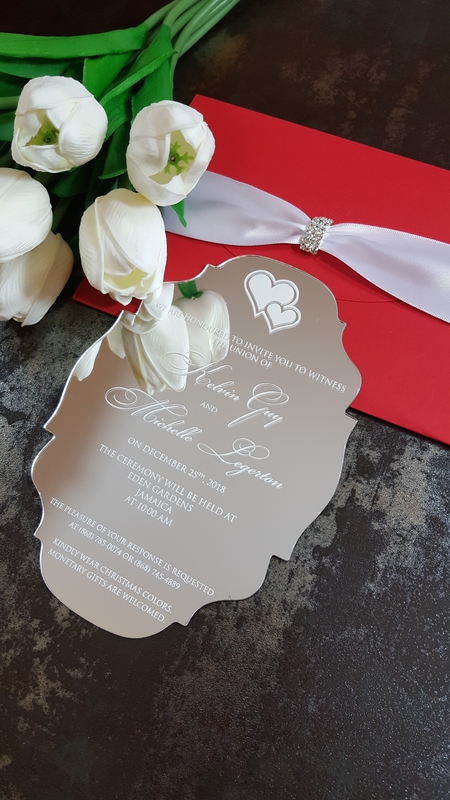 Nestled in the beautiful Caribbean island of Tobago, RedCarpet Wedding & Special Events specializes in a wide range of luxury invitations for your wedding or other special life events. They offer luxurious acrylic, deluxe laser cut cards, royalty scrolls, and the super luxurious folio invitations. They not only design your invitations, but also your event space with a complete suite that is uniquely you. With destination shipping, affordable invites, and special event planners’ packages, anyone could create a huge impact for their event. 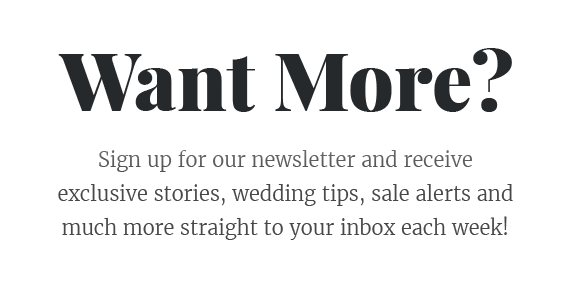 Check out more destination wedding inspiration on our Wedding Planning section on the Blog!